I am never quite what I appear to be. 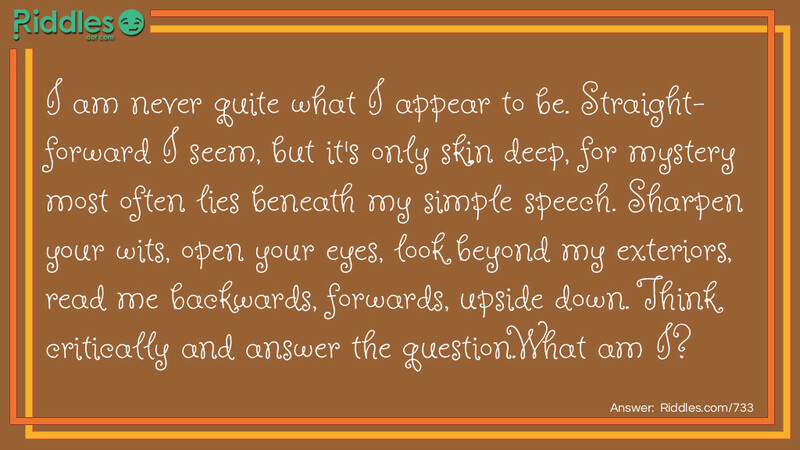 Straight-forward I seem, but it's only skin deep, for mystery most often lies beneath my simple speech. Sharpen your wits, open your eyes, look beyond my exteriors, read me backwards, forwards, upside down. Think critically and answer the question. Straight-foward I seem Riddle Meme with riddle and answer page link.